Once the marketing and advertising tactics work and just after the customer arrives on your lot — with each and every vehicle — your carwash’s equipment is expected to perform at a high, consistent level. After all, almost every customer that enters your site is looking for the same thing: a clean, dry car. And, with properly maintained equipment and trained workers, your business should have no problem delivering on and exceeding that expectation. In most cases, a carwash’s dryers play an important role in providing the final touch to a professional carwash. In addition to water streaks and spots, moisture left on surfaces can attract soiling, resulting in unsatisfied customers. As a result, special care and consideration should be given when installing and servicing dryers. 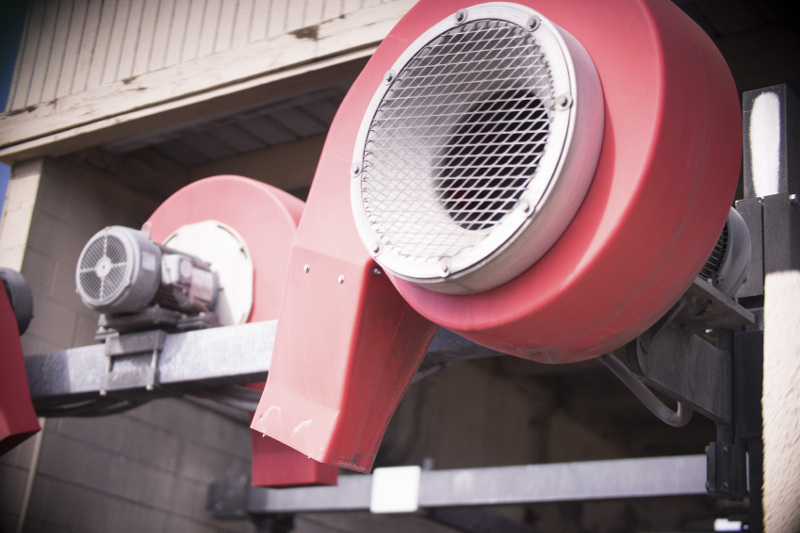 While you can easily train and retrain workers as needed, understanding a dryer’s needs and preventative upkeep requirements will warrant some planning and awareness of the equipment’s inner workings. 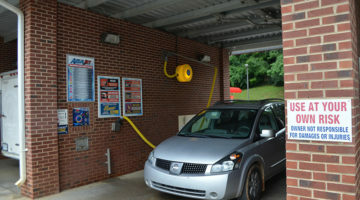 It will also require the attention of owners and operators, which is an area of desired improvement at too many carwash sites, according to Archie Johnson of The Dryer Pros. In addition to these basic elements, dryers can feature other moving parts, including bearings and air cylinders, as well as electrical parts, which will also require maintenance and inspection. A concise maintenance schedule for these and other components, adds Johnson, should be adhered to on a regular schedule recommended by the manufacturer. In addition to the regular and preventive maintenance steps suggested by manufacturers, carwash staff can pay more attention to dryers in their everyday routines to help protect this investment and maximize its performance. 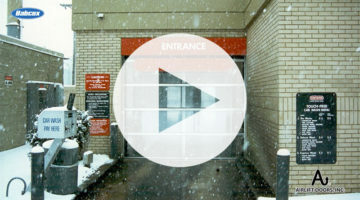 Winter months in most parts of the country present big opportunities for increased traffic at many carwashes. However, harsh, cold conditions — as well as the elements used to keep our roadways safe — also have the potential to wreak havoc on carwash equipment. Create a maintenance schedule and checklist to help address all potential issues. After cleaning customers’ cars, the equipment in your carwash should be cleaned, too. Keep the tunnel, floors, pit, walls and all other exposed surfaces and equipment clean. While cleaning floors, inspect the dryer’s mounting components. Many carwash floors slope toward the pit drains so most equipment has to be leveled when installed. Inspect the mounting plates, shims, bolts and nuts for dirt and corrosion, and tighten bolts to factory specifications. Inspect welds and seams in the dryer’s air handling components for cracks. Sometimes dark streaks will appear on the metal if air is leaking from a cracked weld or loosened component. Inspect the air intake routes. With electrical power disconnected, inlet screens should be removed and any debris carefully cleaned out. Inspect impellors for missing balance weights, damage to the blades, corrosion, debris and grime buildup. Everyday careful inspection of dryer equipment will also allow staff to identify obstructions blocking airflow. Moreover, end of the tunnel workers should carefully inspect cars during the course of operating hours to help identify and quickly correct blockage issues. According to Cheryl Dobie, owner of Aerodry Systems LLC, if the air intakes or ductwork is obstructed, the dryer will not produce adequate air. Other preventive maintenance needs will require more in-depth steps, and your scheduling should consider such factors as use, operating hours, environmental conditions and dryer type. Preventative maintenance examples noted by McElroy include: inspect, clean and grease motors; inspect the wiring connections for corrosion or loose wires (repairs should be performed by a qualified electrician); inspect and clean the inlet and cooling fan; if your drying system has cloth components, nozzles or any other feature that touches the car, these should be cleaned per manufacturers’ recommendations; and, if your blower has any type of inlet flow control system, inspect and service — as needed — air hoses and valves for cracks and leaks, moisture separators, oil reservoirs and any gates or components in the airflow pathway. Another critical check your staff should consider is assessing the positioning of the dryer, especially during installation. A dryer’s airflow will broaden as it leaves ductwork constrictions. However, notes Dobie, it follows a straight-line path. “A volume of pressurized air, aimed at the top of a vehicle, flows along the surface to the widest point of that vehicle. It is at this point that the straight-line path of airflow is interrupted and deflected away from the lower, tapered portion of the vehicle,” she says. To achieve an effective dry, notes Dobie, airflow must also be directed at vertical surfaces in a slightly downward position. This will allow the equipment to strip moisture first from the top portion of the vehicle, followed by the sides, conforming to natural gravitational forces. Similar to many other pieces of carwash equipment, some telltale signs can occur when dryers are failing or about to experience a complete breakdown. In addition to visual inspections of just-cleaned cars and the dryer equipment itself, encourage your staff to pay close attention to abnormal sounds or the moving of equipment. “Often there are early warnings of motor failure, such as bearing noise or excessive vibration. Once made aware of either one, it should be addressed immediately to avoid a potential major catastrophe. Operators need to remember that blower impellers are rotating at high speeds; and when they become out of balance, they can not only damage the motor’s bearings, they can potentially explode due to the tremendous amount of centrifugal force created by its rotation,” says Johnson, adding that an exploding impeller can cause excessive damage to vehicles and physical harm to customers or employees. Since there is a level of danger in these as well as some other situations in a typical carwash environment, it’s best to make sure safety measures, gear and training are in place should an accident occur. “Before attempting any recommended maintenance procedures, be sure you are wearing appropriate personal protection equipment (PPE), and ensure that electrical power is disconnected (use lockout/tagout procedures) to the equipment you are handling,” advises McElroy. Dryers have the potential to make or break the final impression your customer has on your business. Proper maintenance, care and attention should be paid to this equipment. However, the key to long-term success depends on your initial purchasing decisions. “There is no one-size-fits-all in the vehicle dryer industry,” reminds Johnson.